Jenelle Evans’ Mom, Barbara, Meets Her Boyfriend David on ‘Teen Mom 2’ — and It Quickly Gets Awkward! An awkward first impression! 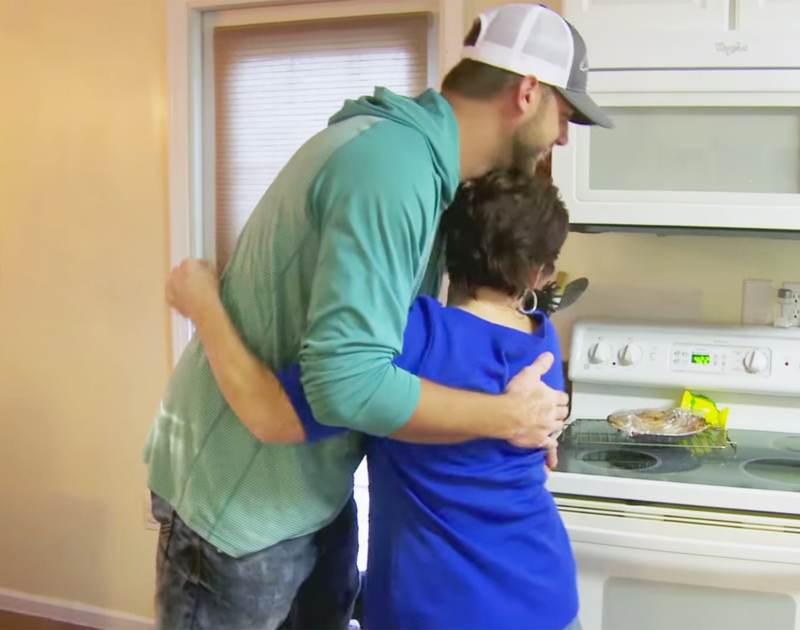 In Teen Mom 2&apos;s Monday, April 4, episode, Jenelle Evans introduces boyfriend David Eason to her mom, Barbara Evans, but the two family members soon end up bickering in front of the guest. In the MTV series&apos; preview clip, the reality TV star, 24, and her new man bring her kids Jace, 6, and Kaiser, 19 months — along with Eason&apos;s daughter, Maryssa — to Barbara&apos;s pad in Oak Island, North Carolina. When Jenelle&apos;s mom asks whether things are getting serious between the two, they say that the relationship is going well, with Eason referring to his beau as "caring." Barbara replies, "She&apos;s very caring to everybody — everybody but to really me … You break my heart all the time." Barbara then mentions that she&apos;ll be visiting Jenelle&apos;s brother, Colin, in Asheville, North Carolina, for Christmas. Barbara points out that Jace, who she has custody of, wants to join her. "This is no fair!” complains Jenelle, who wants Jace to spend the holiday with her. "I&apos;m his mother. Are we really going to argue about this?" Watch the tense scene unfold in the video above. Teen Mom 2 airs on MTV on Mondays at 10 p.m. ET.